My name is Keith Moore. I was raised in Sandy Pond, New York and worked for Toyota Motor Manufacturing in Kentucky for 26 years. I retired in 2017 and now live in Kesennuma Japan. In 2017, I retired from Toyota, sold our house, in Kentucky and started a 2nd life doing community service work in Japan. In 2012, when I first came to Japan as a volunteer, I felt a strong conviction to reach out to those who are in need of care both physically and spiritually. In the nineties when I was living in Nagoya, I was praying to God about whether I would have a future chance to live in Japan again. At that time I heard, in my heart, "yes". I didn't know when or how it would happen. It took 19 years before I got the details. It was during that trip in 2012 when I knew the time was near. It still took another 5 years of preparation, to be completely ready to launch into this second life, but now it is in full motion. ​My wife and I are here to share the love that God has for Japan in the best way I know how. ​​ Since our arrival in August of 2017 my wife and I have been volunteering in the community and serving in a local church. At the end end 2017 we were able to take the next step of establishing a base for ministry by purchasing a vacant house. It is in a good location. We are excited about how God will use this place to restore this community. The house is old and requires renovations to make it a suitable place to house christian volunteers who want to partner with us in sharing the love of God. With this place we will be able to provide low cost lodging, language support and local connections to the community. We want to serve both the physical and spiritual needs of the people of Japan. While at the same time offering a place where we can care for those who come to care for others. By living side-by-side in the community and serving the needs of the community we have an opportunity to share the Good News of Jesus Christ. We will call this place, "Kesennuma Lighthouse", which symbolizes the affect the word of God has on people as they turn from the darkness and see the truth in the light. It is also symbolic of a guide to safe harbor which is meaningful to this fishing port town. We will use the money to renovate the kitchen, bath, toilet, windows, floors and ceilings so that it is a comfortable place for those who come to work. We want to have the facility ready to accept volunteers in the Spring of 2018. 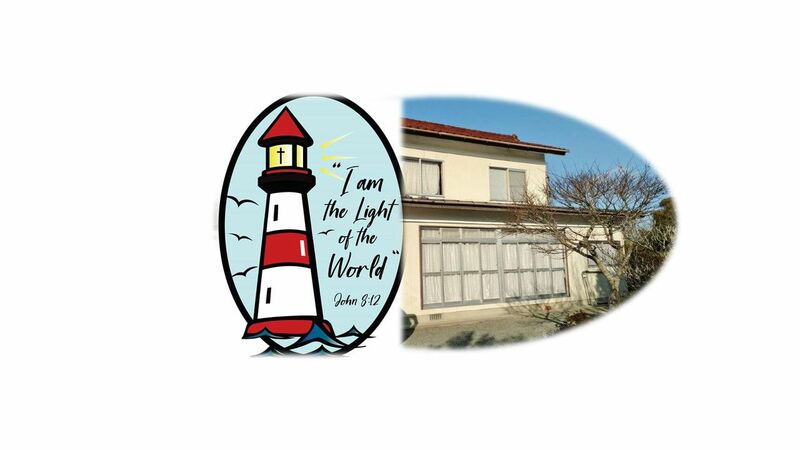 Please pray for us and if you are able please send financial support to GoFundMe-Mission House-Lighthouse Kesennuma.